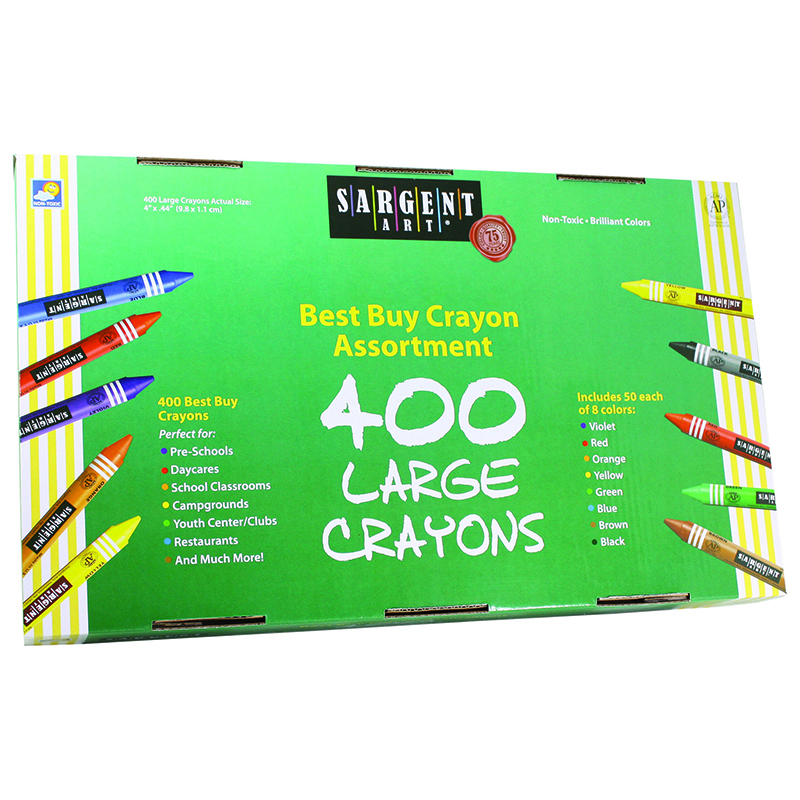 Sargent Art ® Crayon Displays are vibrantly colored and filled with "quality, economy & value". 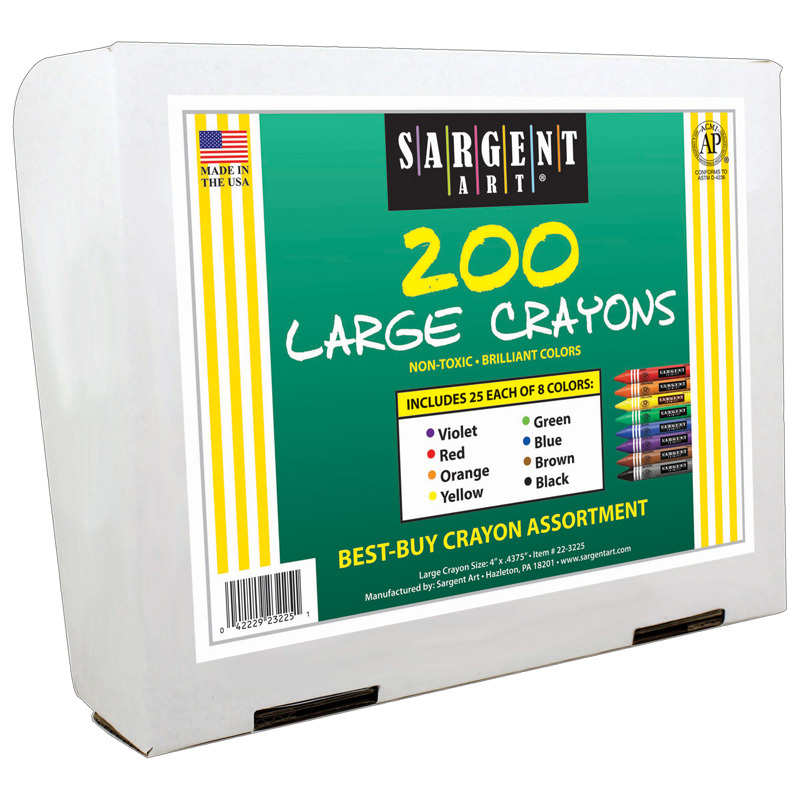 Bulk packaged for ease of use and convenient storage. 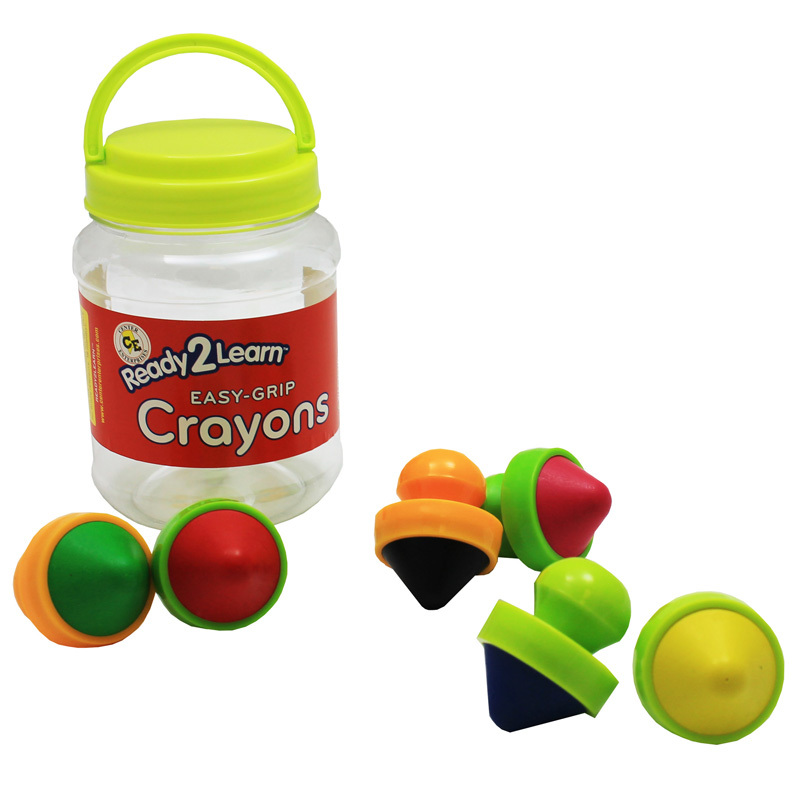 Includes 800 crayons in 8 colors, 100 of each color: red, orange, yellow, green, blue, violet, brown and black. 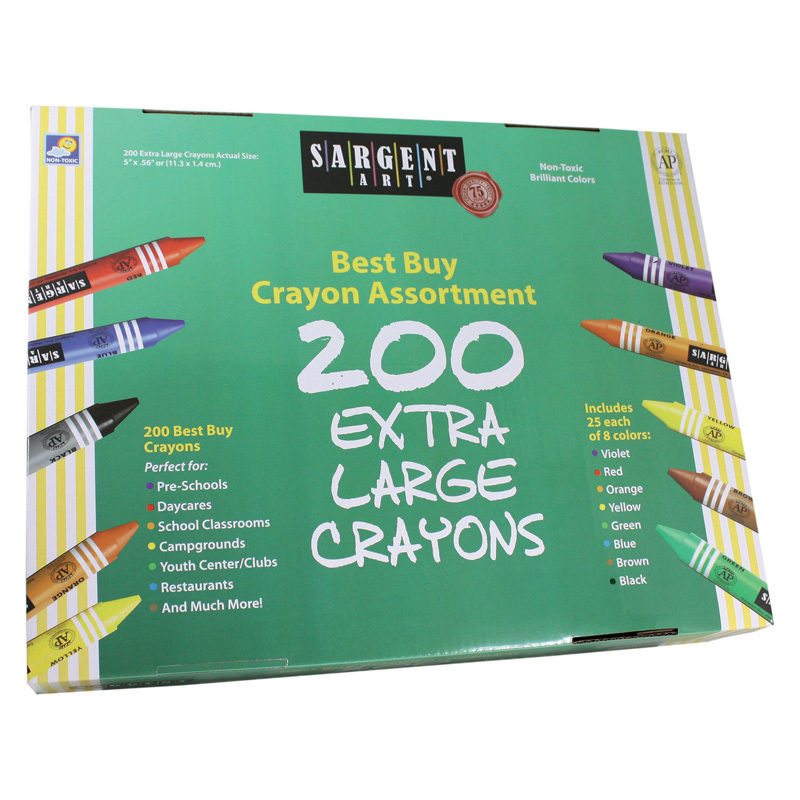 Crayons measure 3.543" x 0.315". Non-toxic and AP certified. 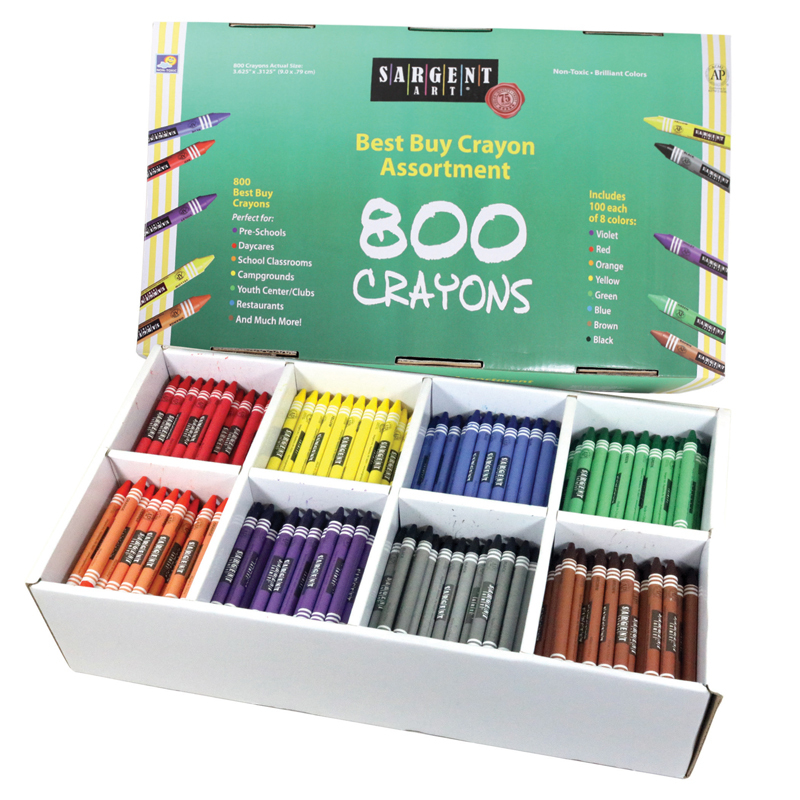 The Sargent Art Best Buy Crayon 800assortment Std Crayons 100ea Color can be found in our Crayons product category within the Arts & Crafts.